The newly-renamed Section on European Quaternary Stratigraphy – previously the Subcommission on European Quaternary Stratigraphy (SEQS) – is a constituent body of the International Union of Quaternary Research (INQUA), Commission on Stratigraphy and Geochronology (SACCOM). The SEQS is a group devoted to the study of the Quaternary Period in Europe, the last 2.6 million years of Earth’s history. 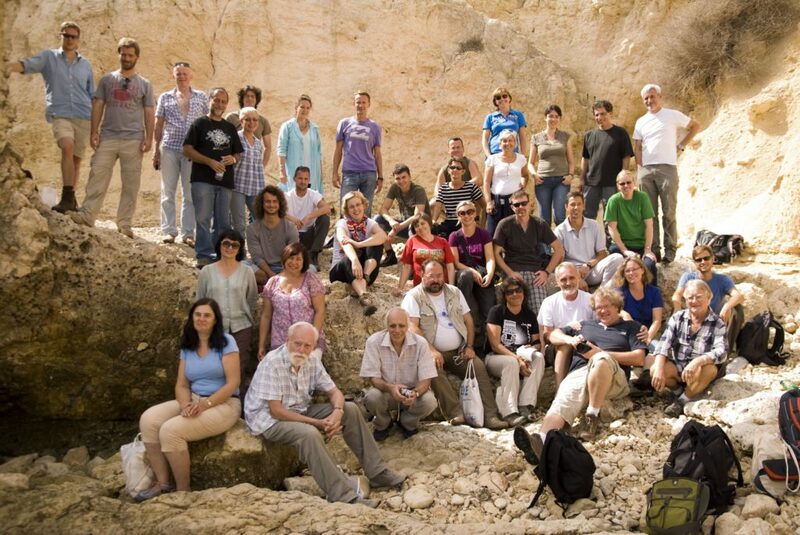 This inter-disciplinary group is concerned with the Quaternary stratigraphy of Europe. It provides a forum for Quaternary scientists to discuss and establish stratigraphical investigations and classification throughout the European continent, one of the most significant and densely investigated regions of the World. It seeks to achieve this through the organisation of regular meetings, publications and publicity. In addition a network of Working Groups with a specific mandates are established under the auspices of the Subcommission. The SEQS scientific activities are carried out through projects, websites, publications and meetings, particularly through close co-operation with local sister national organisations, as well as through collaboration with other organisations. Photo taken at the Tyrrhenian Type Section on Cala Mosca, Sardinia. Visit the Meetings-Page for upcoming SEQS-Meetings. Visit http://datestra-seqs.strikingly.com for details about the SEQS International Focus Group (DATESTRA, Database of Quaternary Terrestrial European Stratigraphy).